The GL (General Liability Insurance) offers you a multitude of coverages such as – property damage, bodily and personal injuries etc. Issues related to your business schemes can also be claimed through this constructive insurance policy. 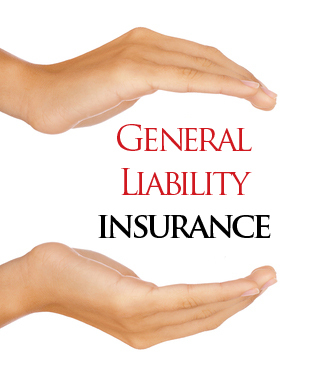 That is why, it is more popularly known as Commercial General Liability Insurance. Why would you need such an insurance scheme? If you are looking to set up a small business in your region, you definitely need some kind of insurance policy in order to help you in the case of accidental property damage. You will need to safeguard your property for which an insurance policy would be prudent. These schemes let you place a claim for all you might have lost in an unexpected accident. So, people choose GL insurance for being on the safer side. Even as an employee, many employers require you to show some kind of commercial General Liability Insurance in order to work for them. People are always looking to sue others for losses at work at times of accidents, so a commercial GL insurance policy is definitely needed in such situations. For a person interested in Commercial General Liability Insurance, the main focus for the insurance scheme is on his/her properties. Most specifically commercial property owners and businesses need this. Plus liabilities of jobs can also be insured through these policies. A more specific section for covering your property in this type of insurance is the BOP (Business Owner’s Policy) section. But, both are part of the commercial department which makes them both liable for your insurance coverage. So, being an employer or an employee, you would need this plan to be safe. Applying for such this insurance, you need to be eligible. This procedure requires you to provide certain documents that identify you as an employee or an employer. Some other details are also asked in the forms which will help you get a policy for keeping yourself protected. Accidents can happen to anybody at anytime. Commercial areas also face such issues for which your being insured is of high significance. For this very reason, many small business owners ask for Commercial General Liability insurances from their employees before hiring them. It helps to minimize the risks and also help to cover up any losses that occurred due to unexpected events leading to damages. If you would like more information please contact Raymond Smith at 239-282-1343 or fill out the form below.